I love cherry pie. Baking cherry pie as a must-have part of family tradition goes back at least as far as my maternal grandmother and the early 20th century. 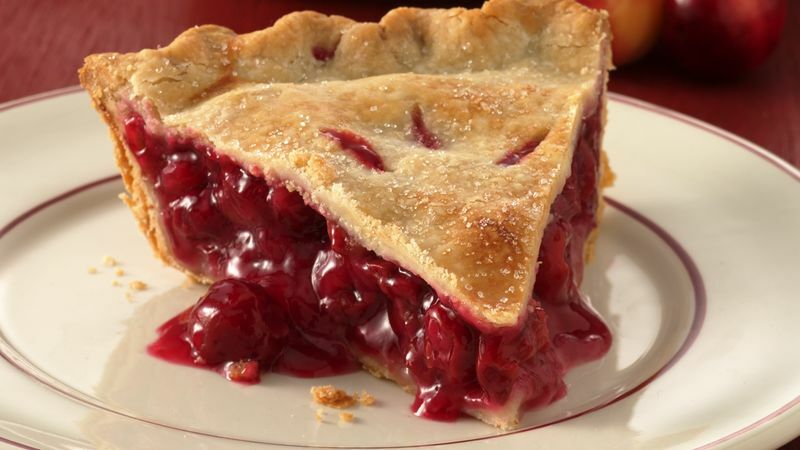 For the last few years, I’ve skipped the cherry pie not out of intent but out of convenience. With the kids grown and my waistline growing, baking for the holidays has become a questionable activity. This year I really wanted a cherry pie. So I looked for cherries. Not the fat sweet fruit that can be found canned, frozen, or in the fresh fruit department, but those tart cherries that produce such a fabulous flavor when paired with delicate pastry crust. Yum! After searching my regular grocery stores, I realized there must be a cherry Grinch out there. Not only were there no tart cherries frozen, canned, or otherwise, there weren’t any empty places on the shelves where they might have been. What is going on? I searched online and discovered that for a mere $76.60, I can order five pounds of frozen tart cherries. That’s right—a staggering $15.32 per pound. Plus shipping. Other sources offered slightly better deals. Organic tart cherries, 4.5 pounds for $69.89. Three 24-ounce jars of cherries for $51.95. Or my old standby brand of canned tart cherries, Oregon, only $4.31 per 14.5 ounce can. Plus $8 shipping. That brings a nine-inch pie, which requires a minimum of two cans, coming in at a cost of $16.60 for the cherries alone. I’m priced out of my pie! More research starts to reveal some basic truths. A few years ago, some genius discovered that tart cherries offer all kinds of health benefits including the big headliner, antioxidant effects. A plethora of publications heralded the news, such as an article in Men’s Health citing a study published in the The American Journal of Clinical Nutrition. In the study, mice with Alzheimer’s symptoms were fed cherry extract, fish oil, and emu oil. Mice running on tart cherry extract performed better on cognitive tests like object recognition than did the control group. The kicker bit of that study revealed that tart cherry juice performed better in reducing high blood pressure than expensive medications! No wonder the price of cherries has gone through the roof. They’re in demand as a juice (32 ounces of organic juice for $18.99 from one source) as well as a nutritional supplement (200 capsules of tart cherry 4:1 extract from 300 milligrams and mixed with rice powder—for $11.21). What is the curious tree at the center of this health versus culinary pleasures conflict? The tree is smaller than the sweet cherry (growing to a height of 4–10 m), has twiggy branches, and its crimson-to-near-black cherries are borne upon shorter stalks. 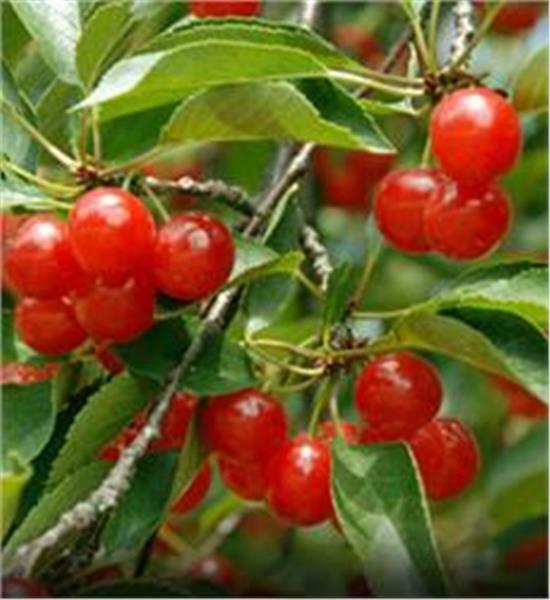 There are several varieties of the sour cherry: the dark-red morello cherry and the lighter-red varieties including the amarelle cherry, and the popular Montmorency cherry. The Montmorency cherry is the most popular type of sour cherry. The reason for its popularity is its use in baking and recipe creation including cherry pies, cherry desserts and other cherry-based recipes. Well, maybe not so much anymore, now that the harvest is almost entirely devoted to diversions like cherry juice and cherry nutritional supplements. The history of the ‘Montmorency’ tart cherry extends back to ancient Rome. The Romans are credited with discovering this tiny red fruit along the Black Sea in Asia Minor. After Roman legionnaires discovered the tart cherries, they carried them with them and introduced them to the rest of Roman territory. They planted cherry trees alongside Roman roads and soldiers used the fruit for food and the wood to build weapons and repair equipment. Seems the Romans knew a good thing when they saw it. The problem isn’t just that newly discovered health benefits have cornered the cherry market. The sour cherry tree likes cooler climates, so much of the domestic crop in the United States grows across the upper regions of the country. And that, according to one farmer’s account as stated in a 2017 report on National Public Radio, is key to my lack of a cherry pie. The tree is “very cold hardy” in the dead of winter, he says, and grows well in the state. But it is susceptible to damage from spring frost, making it very sensitive to the extreme weather shifts made more likely by climate change… In 2002 and 2012, freezing spring temperatures wiped out almost the entire tart cherry crop here [in Michigan]. Farmers faced with this problem point to efforts underway since the 1980s to produce a new strain of sour cherry tree that would be more forgiving of weather anomalies, but such developments take a long term of trial and error. The farmer quoted in this article questions whether the Montmorency will still be around in fifty years. Also suffering the effects of climate change, bee populations needed for cherry tree pollination have plunged, forcing many cherry farmers to make extreme efforts to sustain their own bee colonies. Sadly, many farmers refuse to consider climate change as a factor in their troubles with sour cherry production and thus a potentially powerful lobbying voice is not yet making enough noise for the government to pay attention. Even if the government turned massive attention and resources to this issue, it’s questionable whether anything can be done. At best estimates, the current rate of climate change won’t be changed any time soon. But there is hope, although I wonder if it will come in time for sour cherries. We emit greenhouse gases like carbon dioxide when we burn fossil fuels like coal—or when the cattle that get turned into burgers fart. When those emissions enter the atmosphere, they trap the sun’s heat, warming the planet. It’s basic physics. The increased heat can become catastrophic by melting the polar ice caps, raising sea levels, and creating weather patterns that are less predictable, more volatile, and more dangerous. Because we’ve been warming the planet this way since the early days of the industrial revolution, we can’t completely avoid the effects of climate change. But by lowering our emissions now, we can avoid the worst effects. The article goes on to describe a few key changes individuals can make in life choices that will strongly impact climate change including having fewer children and cutting way back on meat consumption. Uh huh. At my age, I won’t live long enough to see the worst of climate change or the ultimate fate of my beloved tart cherries. That’s just one of many regrets facing me and everyone else as we grow older. But I may experiment with dried cherries to see if rehydrating produces a decent pie. The least expensive source I’ve found offers a one-pound bag for $11.99. Cover cherries with boiling water, cover and let soak for 30 minutes. Turn burner on medium, simmer and add sugar and flour to thicken. Remove from heat, add almond extract. Pour into prepared pie crust and add top crust. Bake at 400 degrees for about 35 minutes. I’ll let you know if it’s worth the effort. This entry was posted in American Culture, Economics, Food, Human History and tagged cherries, cherry pie, climate change, favorite dessert, health benefits, sour cherries, tart cherries on December 26, 2017 by Denele Campbell.